In today’s world where the world depends on the internet cannot even imagine their life without Wi-Fi connectivity. As the days are passing and the technology is growing, the people are expecting a lot. Earlier we used to be happy even with a 1Mbps speed but now we want everything fast. Our Wi-Fi not only serves 4k streaming and download big files. It is facing many different challenges especially the challenge of handling a large number of devices. As per the reports, in 2019, an average home is having about 10 devices connected and it is expected to rise by 50 till 2022 which is a huge amount for Wi-Fi to handle. All these problems have been solved as the new Wi-Fi standards have emerged dubbed as Wi-Fi 6 and WiGig which will be the talking point of the year. So if your work is fully based on connectivity then you must know everything about Wi-Fi and WiGig before purchasing the latest smartphone or a new router. Define Wi-Fi 6? Is it the same as the Wi-Fi 802.11ax? The 802.11ax is the upgraded variant of the present 802.11ac standard. The new Wi-Fi 802.11ax will spread over the still continued 2.4GHz and 5GHz spectrums and at the same time, it carries support to involve the extra band which will be present between 1 GHz and 7 GHz. Wi-Fi 6 is focusing on enhancing the average and worst-case performance rather than focusing on maximum data transfer rates. This is done to make a real difference with real-world usage considering the growing client devices and congestion. The Wi-Fi Alliance, which relates to the authentication of all-new WiFi protocols, decided to simplify things by giving a nickname to this new standard as WiFi 6. Yes! You read it right. Both of them are the same. The Wi-Fi 6 tackles with this problem by raising the network capacity which can be done by including extra frequency spectrums into the network. To make the effective use of the bandwidth which is issued to each transmission, the Wi-Fi 6 uses OFDMA (Orthogonal Frequency Division Multiple Access). The OFDMA is the same technology that was used in systems such as the Cellular LTE (4G) transmission. In the past standards each device used to have its own channel for communication, while in OFDMA, all the devices are connected to a network which uses a sole channel for different frequency bands for transmission. So the new implementation makes sure that the bandwidth must not be wasted with each transmission which enhances the efficiency by four times. If compared with the previous generation Wi-Fi 802.11ac, the WiFi 6 or WiFi 802.11ax has enhanced the Multi-user multiple inputs multiple output (MU-MIMO) technology support. The Wi-Fi 802.11ac allowed only four devices for downlink while the Wi-Fi 6 will permit 8 clients connected concurrently for downlink and uplink. To enhance the outdoor performance or to increase the range, the Wi-Fi 802.11ac integrates with many features. One of the most important features of Wi-Fi 802.11ax is the new packet format in which the most sensitive area is repeated continuously for good communication. The other important feature which the Wi-Fi 802.11ax aims to reduce the battery drain. While the last variant used to be awake until they received the transmission. The Wi-Fi 6 permits the transmissions to set the time which allows the devices to sleep for a long time which improves the battery life. So we can say that this new-gen of Wi-Fi aims to improve the speed and latency along with the robust connection for deployment in crowded areas. The new packet format and the other changes will help increase the Wi-Fi range and enhance outdoor performance. The Wi-Fi 6 is also optimized to minimize the battery drain by arranging a wakeup of clients which is attached to an access point. The standard combines with the latest state of the art radio technologies that are also planned for 5G. By using these techniques, Wi-Fi 6 can properly use the available communication bandwidth, which will result in better efficient communication. 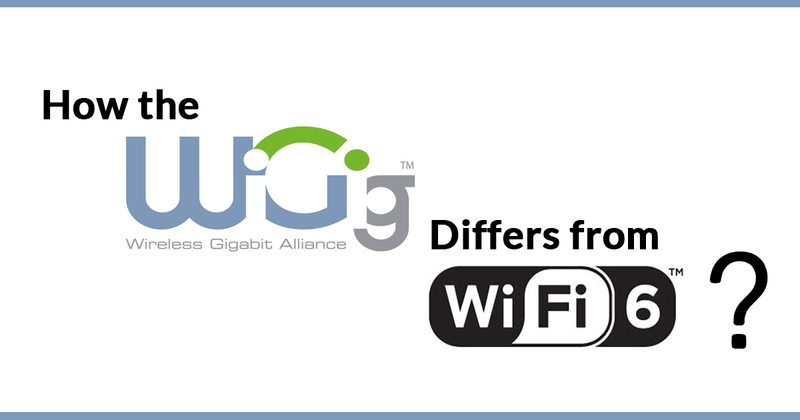 Define Wi-Fi 802.11ay or WiGig? The second most talking point will be the Wi-Fi 802.11ay or the WiGig which is set to launch anytime in 2019. The IEEE 802.11ay will be added to the 60GHz WiGig protocol which is already running. It is the successor of the IEEE 802.11ad that cleared the way for the beginning of the 60GHz network channel for the Wi-Fi communication. The mmWave is used for the transmission by this spectrum of communication at 60GHz. mmWave is famous for its unparalleled coverage performance buts lacks when the time comes to penetrate via the structures. So this is the reason why it is used for short distance Wi-Fi applications such as fiber to home cables, wireless VR headsets, etc. In order to obtain a comprehensive picture of the bandwidth used for WiGig communication, we can say that the WiGig is partitioned into four channels of spectrum in which each channel have more bandwidth capabilities as compared to all the regular Wi-Fi channels interlinked which work at 5GHz and 2.4GHz frequencies. To provide 8.64GHz of the composite bandwidth, the channel bonding features 802.11ad that combines with four channels of 802.11ad. This technique is going to function as a virtual fiber in the future by replacing the existing wired optical fiber network. It can notably minimize the cost of installing underground fiber-to-home cables. It can also be used for mobile communication support which is expected to pass through a major overhaul with the 5G network. 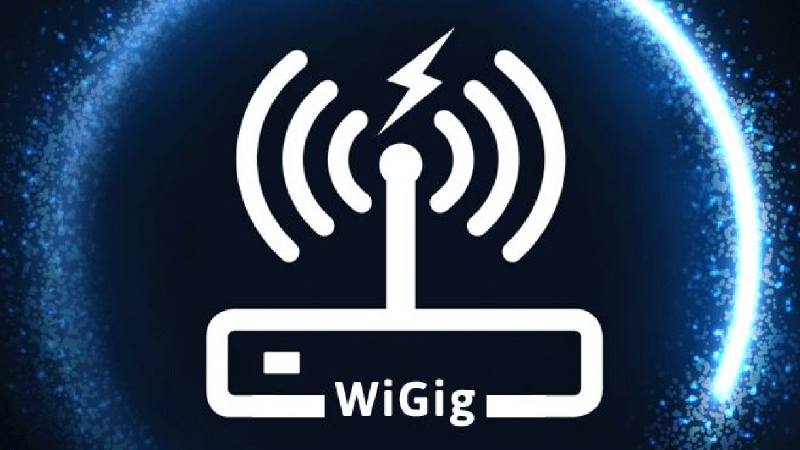 As 5G communication also works primarily in the high-frequency spectrum, hence the WiGig network of base stations can replicate any obstacle in the mobile connections. Now we know what WiFi 6 and WiGig is. So now let us know what are the major differences between them. Both these new standard technologies are in line with our wishes to get the multi-gigabit speeds wirelessly. At least we can get 4K streaming experience without any glitch and can download huge files within few seconds. The main difference between both the new standard networks is that the WiGig which is the higher frequency waves can travel long distances but focus on the obstructions from obstacles quickly and the low-frequency waves travel only short-distances but can penetrate through obstructions and walls. Keeping in mind the advantages and disadvantages of each of these techniques, we can assume that 802.11ay will play an important role to replace the fiber network placed outside homes or for peer-to-peer communication. While the 802.11ax or Wi-Fi 6 can be used for home-based Wi-Fi transmission, where access to the signal is required to reach the signal through many walls. iEEE has been working on Wi-Fi 6 from a long time and the tools supporting these new Wi-Fi standards are already commercially available. Wi-Fi Alliance Certification will come by the middle of 2019, but the details about Wave 1 and Wave 2 of Wi-Fi 6 standard is already available. A few days back, Snapdragon announced 855 chipsets that will support both the new Wi-Fi standards.